Michael Najjar (Landau, Germany, 1966) studied at the bildo academy for art+media in Berlin. He lived and worked in Rio de Janeiro, Madrid, Havanna, Tokyo and New York. 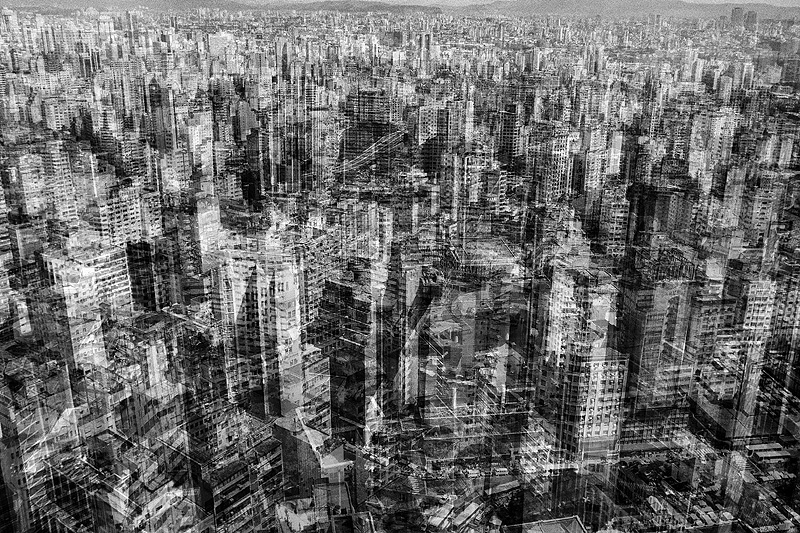 Among his many exhibitions is the project netropolis (bitform gallery, New York 2004) from which the two pictures – São Paulo (picture 1) and New York (picture 2) – have been selected. In his work the influence of Flusser’s thought is present on different levels. In the introduction to the catalogue of the exposition, referring to Flusser’s Ins Universum der technischen Bilder (Göttingen 1985), he writes: “we can no long read the city as a totality: it is heterogeneous, fragmented, dismembered, decentered. we are now on our way into what has been called the ‘telematic society’ – a society in which, according to the media philosopher vilém flusser, the individual will increasingly move in a universe of technical images, and where social structures are geared to the production of information and its distribution through networks.” (M. Najjar, Netropolis 2003- 2005, New York, p. 2). 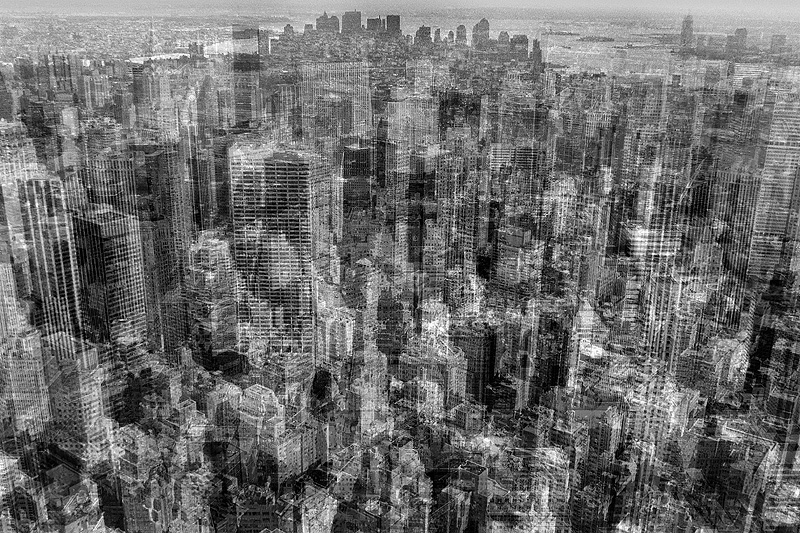 The pictures have been produced digitally by an algorithm that mixed, on four different levels, four photos taken on top of the tallest building overlooking the city, facing North, South, East and West. The algorithm was programmed according to a statistical rule – for instance 56% North, 34% South, 69% East and 20% West. The final image is therefore at the same time an optical condensation of the city’s appearance as well as a concentration of different information units. Najjar finds, thus, an elegant and technically creative implementation of Flusser’s concept of techno-image.